A lovely light and welcoming four bedroom family house with lots of character and a relaxed interior feel. The house has a great sociable entertaining space orientated around the kitchen with the advantage of a separate front reception room - useful for a family with older kids. 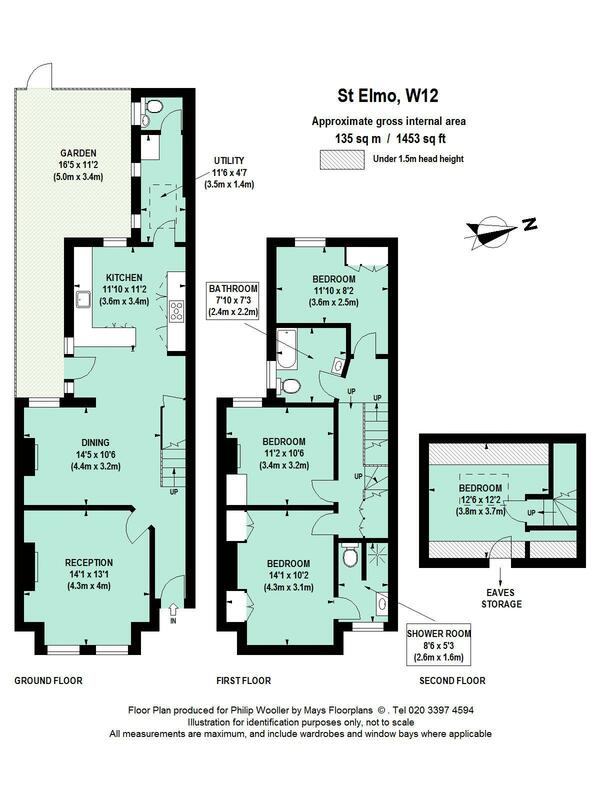 There is a great utility space with downstairs wc and a west facing patio garden offering a good degree of privacy. This outstanding family home is available early / mid December 2017, unfurnished. St Elmo Road is a quiet and friendly street running west off the upper end of Askew Road then tuning north to adjoin Uxbridge Road, still within easy reach of Ravenscourt Park and Shepherd's Bush Market tubes, and minutes from bus routes east along Uxbridge Road, which give ease of access to Westfield and The Central Line tube and mainline stations. The 266 bus route links Askew Road, with it's good range of local shops and cafes, to Hammersmith Broadway.